This week I’m writing about the books that got me weird looks while out in public. I hope you make your own list and tell me about it in the comments! 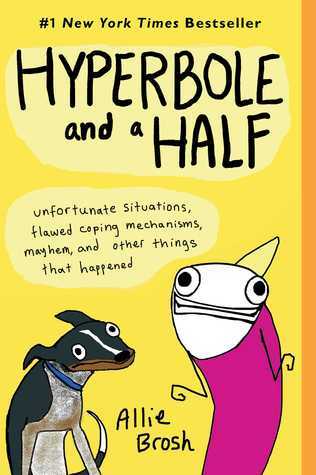 Hyperbole & A Half by Allie Brosh – Allie may have a hard time dealing with the public (as evidenced by the fact that she basically went into hiding once this book was published) but she is totally hilarious. My favourite stories are about her dogs, but she has a lot of amazing stories about her childhood as well. I’ve reread stories in this book so many times and laugh every single time. 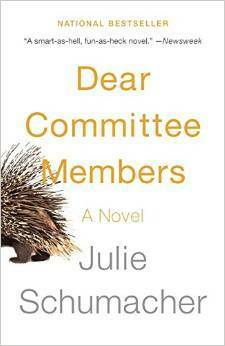 Dear Committee Members by Julie Schumacher – There is so much to love about this collection of fictional letters from a tenured English professor to his school’s administration, potential employers for his former students, and friends and colleges. This was reviewed by another blogger (sorry I can’t remember who) and I downloaded it right away. I laughed through this book long into the night. 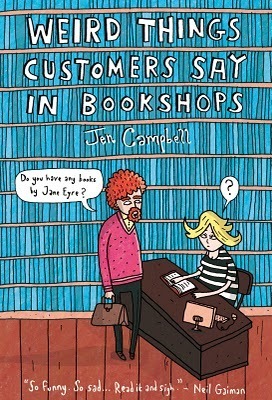 Weird Things Customers Say in Bookstores by Jen Campbell – As a bookseller I’ve heard some pretty crazy stuff, so this collection was more about reminiscence for me. My coworkers and I had a great time reading from this book to each other. Whenever we would find a particularly good one we would all have a good laugh and share stories of similar customer interactions. It may have made some customers uncomfortable, but we were having fun. Dear Dumb Diary Year Two #2 by Jim Benton – This is the only book in this series that I have read, but I thought it was great. A Scholastic rep dropped it off at my store one day and I figured I should give it a try. I had no problem walking to work reading this book, even though it got me a few weird looks. I’m eagerly awaiting the day when my cousin is old enough to appreciate their humour. 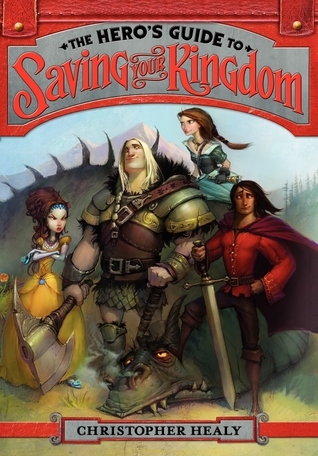 The Hero’s Guide to Saving Your Kingdom by Christopher Healy – I love a good fairy tale retelling, and the feminist twist on this book was an added bonus. It was awesome to see the princesses have some personality finally, and I loved that each Prince Charming was so different. I haven’t had a chance to read the rest of the series, but it’s going to happen one of these days. So what books made you laugh out loud? Did you share them with friends and family? Did you get weird looks while reading them in public? All great reads! I strongly suggest “Let’s Pretend this Never Happened”. I laughed so much, and sometimes I couldn’t stop, and it was soo embarrassing. But worth it.